Remove the green tint to the Radiation weathers. 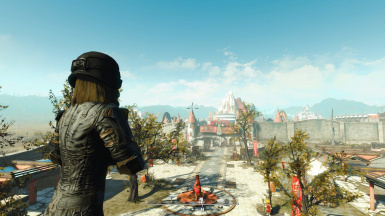 Also has a version that adds the common weathers to the Glowing sea, Atom Springs and Nuka World. Edits the rad weathers to look better. Edited and added a few others weathers. 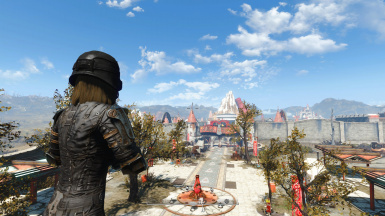 Adds Commonwealth weathers to Nuka World. 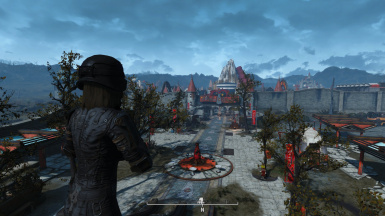 Edits two weathers in Nuka World. Edits God ray's to remove green tint. Glowing Sea and Atom Springs now have constant ambient Rads no matter the weather type. 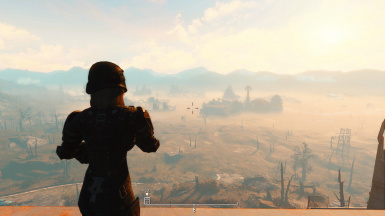 Changes the climate setting to have a slight bias toward clear weather for the Commonwealth and Far Harbor. I thought it was silly that the weather turned green for the radiation storm. 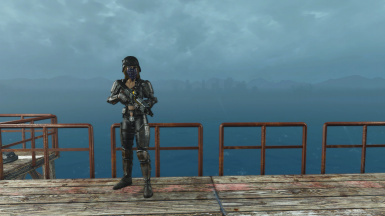 Also it was odd there was only two weather type for the Glowing Sea and Atom Springs region. This mod fixes that. V8 no longer supports True Storms, I don't use that mod and there is to much work to get it compatible. V8 is a major improvement over the previous versions. I urge you to upgrade to it. V6 will still be up if you want the silly green removed from True Storms. All edits in the ESP are intentional for the mod to work as intended, please don't try to "clean" it. One: Removes the green tint from the radiation weathers all over the Commonwealth but does not change the Radiation Damage. It also adds rain to Radstorms. 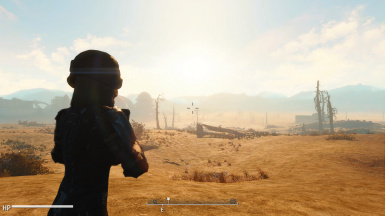 Plus it adds common Commonwealth weathers to the Glowing Sea. Glowing Sea now have constant ambient Rads no matter the weather type. Two: Removes the green tint from the radiation weathers all over the Commonwealth and Far Harbor but does not change the Radiation Damage. It also adds rain to Radstorms. 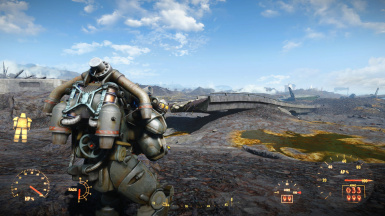 Plus it adds common Commonwealth weathers to the Glowing Sea and adds Far Harbor weathers to Atom Springs. 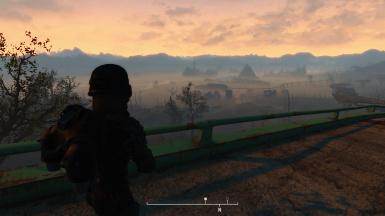 Glowing Sea now have constant ambient Rads no matter the weather type. Three: Removes the green tint from the radiation weathers all over the Commonwealth and Nuka World but does not change the Radiation Damage. It also adds rain to Radstorms. 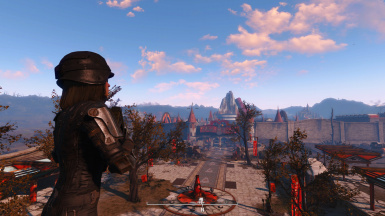 Plus it adds common Commonwealth weathers to the Glowing Sea and Nuka World. Glowing Sea now have constant ambient Rads no matter the weather type. 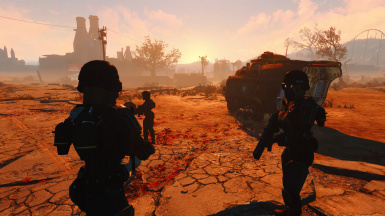 Four: Removes the green tint from the radiation weathers all over the Commonwealth, Far Harbor and Nuka World but does not change the Radiation Damage. It also adds rain to Radstorms. Plus it adds common Commonwealth weathers to the Glowing Sea and Nuka World, and adds Far Harbor weathers to Atom Springs. Glowing Sea now have constant ambient Rads no matter the weather type. 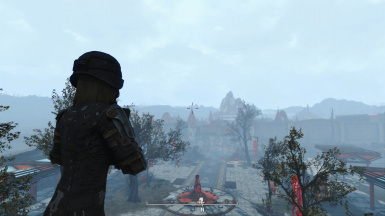 Five: *** I use this one *** Removes the green tint from the radiation weathers all over the Commonwealth, Far Harbor and Nuka World but does not change the Radiation Damage. It also adds rain to Radstorms. Plus it adds common Commonwealth weathers to the Glowing Sea and Nuka World, and adds Far Harbor weathers to Atom Springs. Glowing Sea now have constant ambient Rads no matter the weather type. Plus it removes the green tint from the Contraptions DLC Rad weather. The Radstorm weather shell for the fireworks mortar changes the weather to this type. One: Removes the green tint from the radiation weathers all over the Commonwealth, but does not change the Radiation Damage. It also adds rain to Radstorm (the weather with the electrical storms). This only edits the weathers and does not add more to the Glowing Sea. Two: Requires Far Harbor installed. 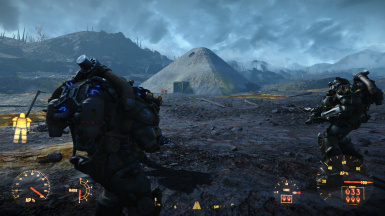 Removes the green tint from the radiation weathers all over the Commonwealth and Far Harbor, but does not change the Radiation Damage. It also adds rain to Radstorms (the weather with the electrical storms). This only edits the weathers and does not add more to the Glowing Sea or Atom Springs. Three: Removes the green tint from the radiation weathers all over the Commonwealth, but does not change the Radiation Damage. It also adds rain to Radstorm (the weather with the electrical storms). 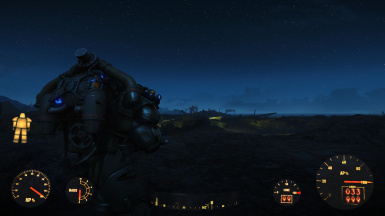 Plus it adds common Commonwealth weathers to the Glowing Sea. 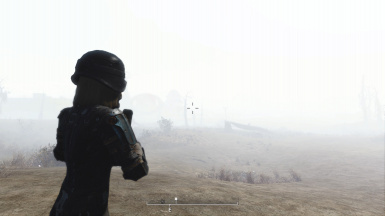 This edits the weathers and the region weather type for the Glowing Sea. Four: Requires Far Harbor installed. 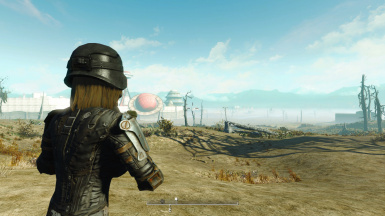 Removes the green tint from the radiation weathers all over the Commonwealth and Far Harbor, but does not change the Radiation Damage. It also adds rain to Radstorms (the weather with the electrical storms). 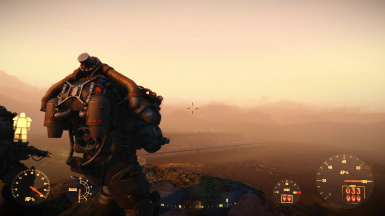 Plus it adds common Commonwealth weathers to the Glowing Sea. 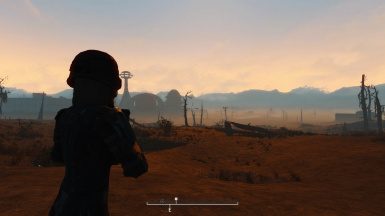 This edits the weathers and the region weather type for the Glowing Sea, but does not add more to Atom Springs. Five: Requires Far Harbor installed. 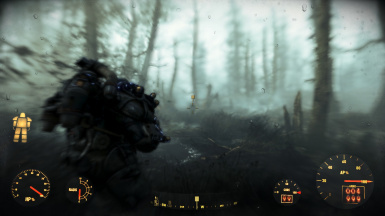 Removes the green tint from the radiation weathers all over the Commonwealth and Far Harbor, but does not change the Radiation Damage. It also adds rain to Radstorms (the weather with the electrical storms). 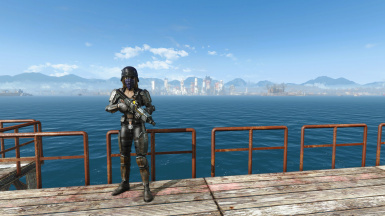 Plus it adds common Commonwealth weathers to the Glowing Sea and Far Harbor weathers to Atom Springs. 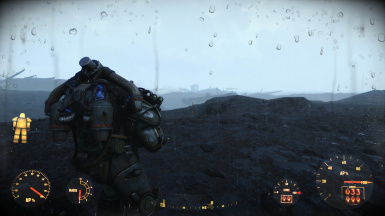 This edits the weathers and the region weather type for the Glowing Sea and Atom Springs. 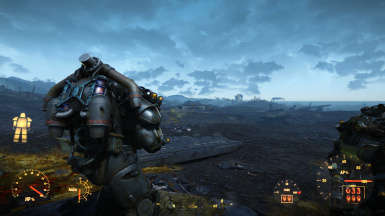 Six: Requires Far Harbor and Contraptions installed. 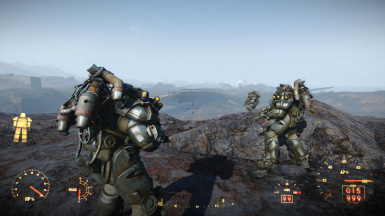 Removes the green tint from the radiation weathers all over the Commonwealth and Far Harbor, but does not change the Radiation Damage. It also adds rain to Radstorms (the weather with the electrical storms). Plus it adds common Commonwealth weathers to the Glowing Sea and Far Harbor weathers to Atom Springs. 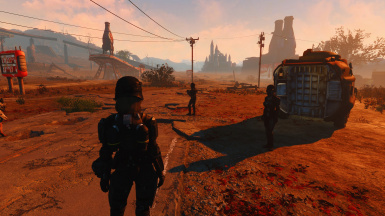 This edits the weathers and the region weather type for the Glowing Sea and Atom Springs. Plus it removes the green tint from the Contraptions DLC Rad weather. The Radstorm weather shell for the fireworks mortar changes the weather to this type. Seven: Requires Far Harbor and Contraptions installed. 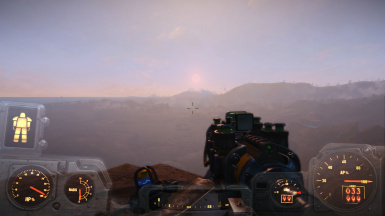 Removes the green tint from the radiation weathers all over the Commonwealth and Far Harbor, but does not change the Radiation Damage. It also adds rain to Radstorms (the weather with the electrical storms). Plus it adds common Commonwealth weathers to the Glowing Sea and Far Harbor weathers to Atom Springs. 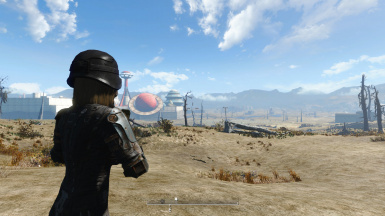 This edits the weathers and the region weather type for the Glowing Sea and Atom Springs. Plus it removes the green tint from the Contraptions DLC Rad weather. The Radstorm weather shell for the fireworks mortar changes the weather to this type. 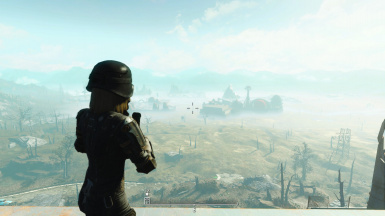 Changes the climate setting to have a slight bias toward clear weather for the Commonwealth and Far Harbor. Use a Mod Manager to install. Then place into Fallout 4 / Data . And then activate. MTM-NGW-TSM <- True Storms No green weathers plus more weather types for the Glowing Sea. MTM-NGW-TSO <- True Storms No green weathers only. Also available on Bethesda.net and set access for PC, PS4 and XBOX. Check the mirrors tab for the links. 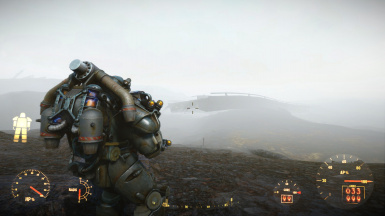 Sets the weather to only be clear sky in the Commonwealth, Far Harbor and Nuka World. So its better visibility during builds. Intended for settlement building, deactivate after finishing the build. Reactivate if you want clear weather again for another build. Can be used for normal gameplay if you want clear weather all the time. 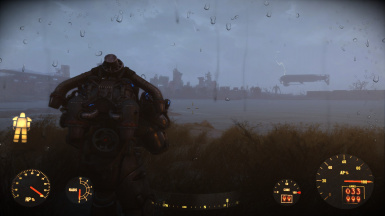 Sets the weather to only be raining in the Commonwealth, Far Harbor and Nuka World. 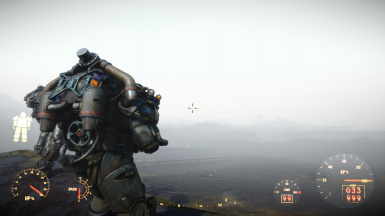 Removes rad weathers from everywhere (even glowing sea). 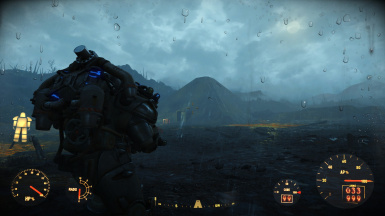 Glowing sea would have an issue then, it only has two weather type, both rad storms. So I added common weathers to it. Have fun with no RadStorms! 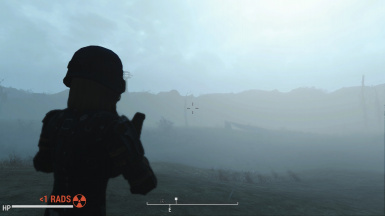 Sets the weather to only be clear sky in Far Harbor. The Commonwealth weather is unchanged. Have fun in Far Harbor's clear sky! 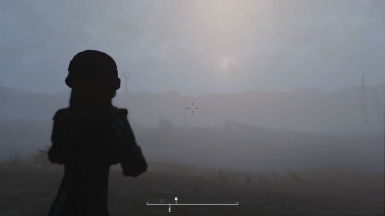 Sets the weather to only be clear sky in the Commonwealth, Far Harbor and Nuka-World. 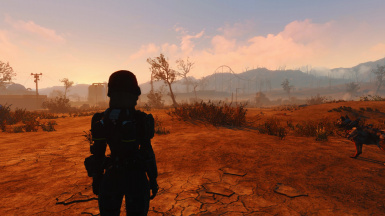 Glowing Sea and Atom Springs still use Rad weathers. Have fun in almost clear sky! 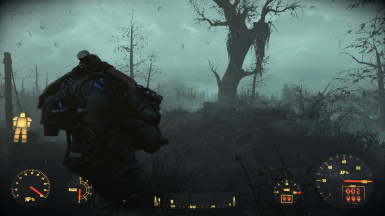 Sets the weather to be "bad" weather types in the Commonwealth, Far Harbor and Nuka-World. 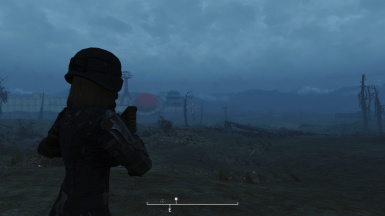 Glowing Sea and Atom Springs have more weather types. Have fun in the "bad" weathers!